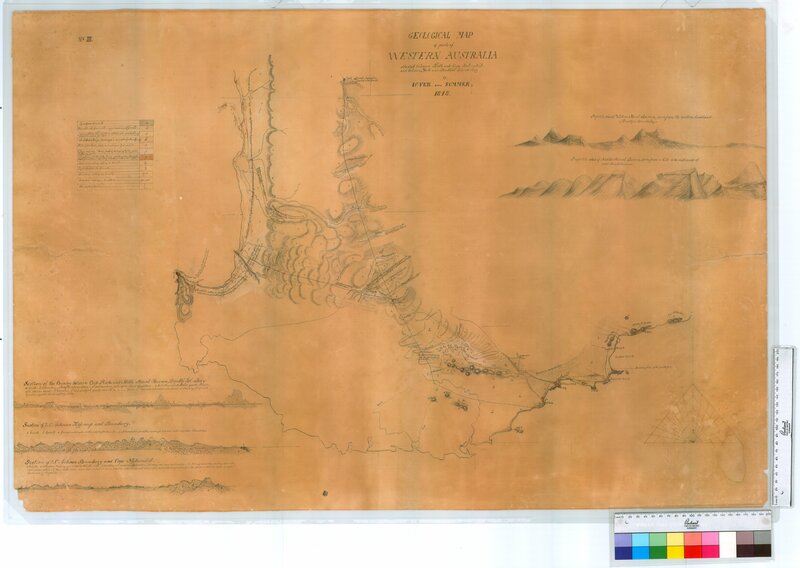 Item1 - Geological map of a part of Western Australia situated between Perth and the estuary of the Hutt. Item2 - Geological Map of parts of Western Australia situated eastwards and southwards of Perth, and between King Georges Sound and Cape Rich [Riche]. Item3 - Geological map of parts of Western Australia situated between Perth and Cape Naturalist [Naturaliste] and between York and Doubtful Island Bay. Item 3 - Geological map of parts of Western Australia situated between Perth and Cape Naturalist [Naturaliste] and between York and Doubtful Island Bay. Geological map of parts of Western Australia situated between Perth and Cape Naturalist [Naturaliste] and between York and Doubtful Island Bay. Confirm Item Request: Geological map of parts of Western Australia situated between Perth and Cape Naturalist [Naturaliste] and between York and Doubtful Island Bay.